Comfort functions like defrosters and seat heaters require a lot of power from the battery. Modern cars also depend on advanced electronics that increases the load on the battery. A normal driving pattern will not keep the battery sufficiently charged over time. DEFA ChargerKits are is also ideal for maintenance charging if the vehicles that remain unused over longer periods of time. 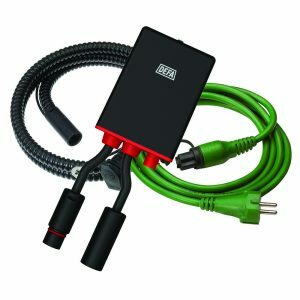 Modern switch-mode technology preserves your battery and allows the charger to be permanently connected. Temperature-compensated charging ensures becomes fully charged in all conditions. LED indicator for charging mode and quick charging mode (green and red). If the battery experiences sufficient load during trickle charging to drop the voltage below 13V, the charger automatically switches to full-power mode (quick charge). Short-circuit protection and reverse-polarity protection. This requires the installation of the fuse included with the charger. 230V recognition prevents the relay from staying on and discharging the battery when the charger is not in use. 2 relay-controlled outputs for engine and parking heaters which can be activated with a time-program control unit (external signal). Will not damage the vehicles electronic systems. Prevents battery degradation (sulphating) and extends the lifetime of the battery. Prevents release of harmful gases. MultiCharger 1204 can be used to charge all open or closed types of 12V lead/acid inclusive AGM and GEL batteries. 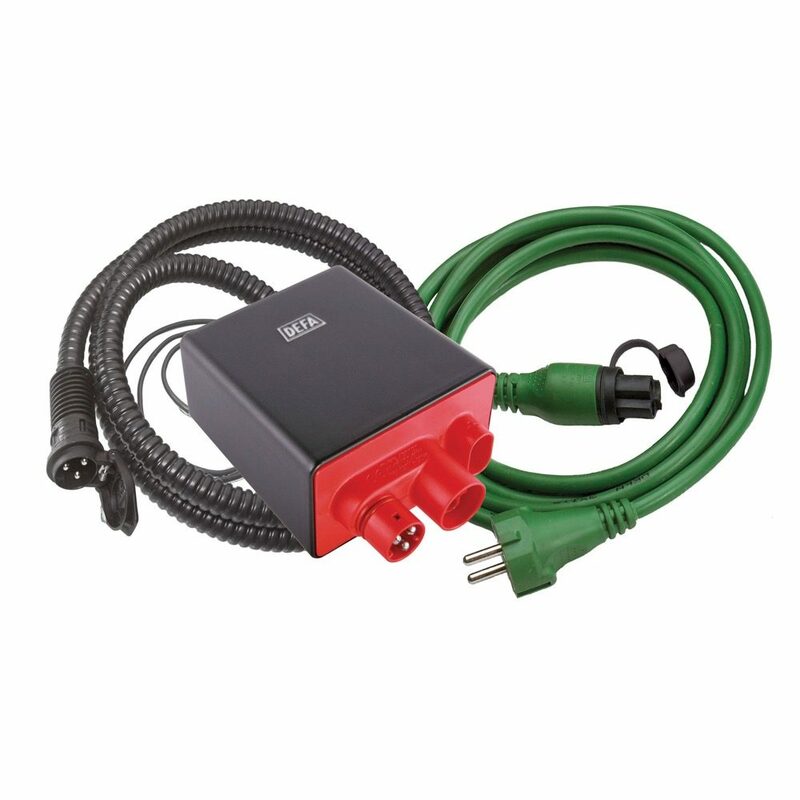 DEFA ChargerKit consists of MultiCharger 1204 and mains connection kit 785.